Not melancholy and serene as The Philippines, Vietnam is a firecracker; colorful, dynamic, and in your face with no time to breathe. And within Vietnam, you get Hanoi in the North as the city of Old being sprung into the future, while Ho Chi Minh of the South is a city of the future, holding on to the past. As North and South as it is hot and cold, in between is a slow transformation of unforgettable hillsides, mountain ranges, desert plains, and coastlines that make this country as energetic and enigmatic as its tumultuous political history. 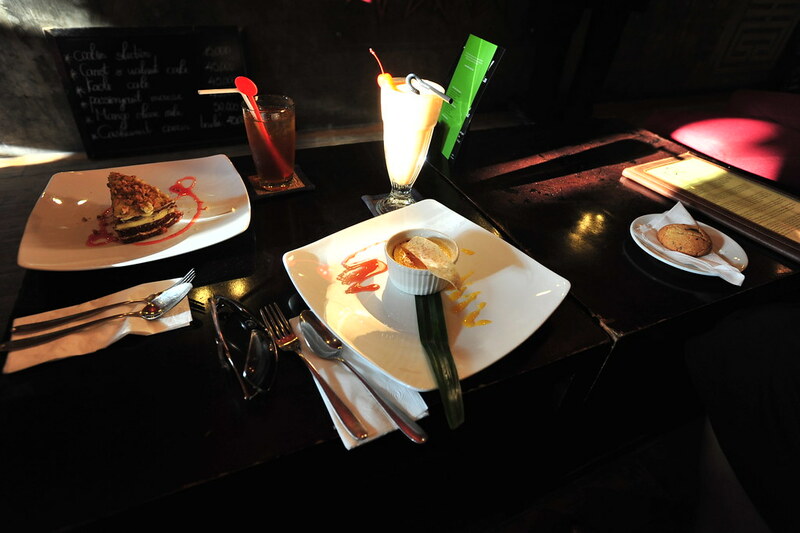 The 2 minute pitch was to combine the authenticity of street food with exquisite restaurant-style decor. In other words, it was to make foreigners less anxious about the food they were eating by showing that the establishment had enough money to have servers, nice tables, and of course ice from purified water. So they sold out, and so did we by coming here. Did the food also lose out? Not by a longshot. Although we had expected something much more over the top due to BOTH strong recommendations by Lonely Planet and Rough Guides, we were not disappointed. Food here delivered, although the prices were surprisingly not of “street food” quality. A stylish, beautiful cafe with a cause to “Know One, Teach One (KOTO)”, they take the proceeds to donate and employ disadvantaged Vietnamese children. Can’t complain with that. It’s sleek, it’s spacey, and it would be my new favorite hangout if I were to live in Hanoi and I had enjoyed its drinks more. Although we only had drinks and dessert (I had a cashew nut creme brulee and a taste of its carrot-walnut cake), I was left a bit disappointed in that they were nothing special. The only thing that made it taste better was that we were helping the disadvantaged by being at the cafe. And that it had free wifi. 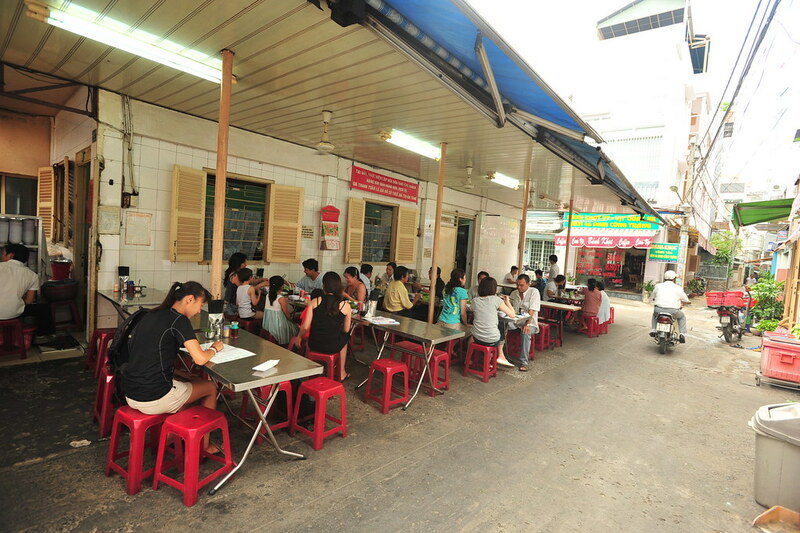 I was confused that this place had no menu; once you sit down you’re served with their one and only dish of the day…and for us it was Crab Meat spring rolls and a copious amount of pork noodle soup! And it was fantastic. Simple, no frills, and straight to the point (and taste buds). Highly recommended. 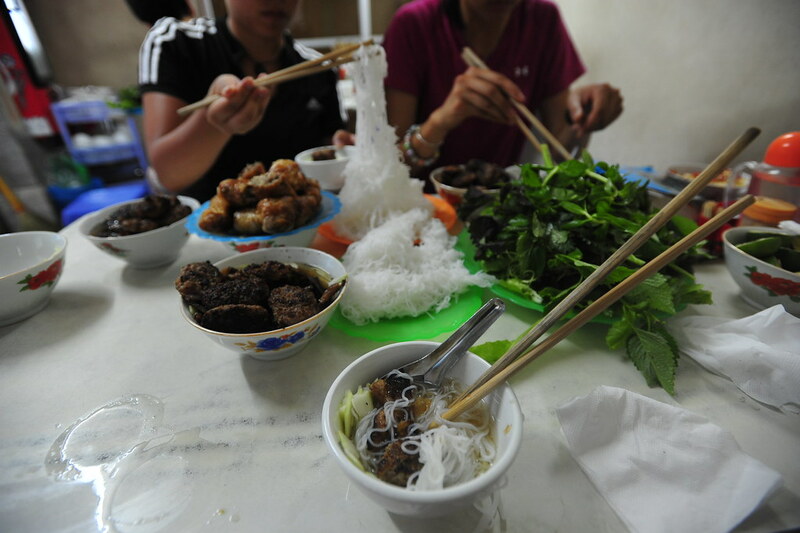 The book says that locals regard this place “legendary” for their one dish: the Banh Xeo. Like the chicken and rice of Saigon? Impossible. So I checked it out for myself: it was spectacularly delicious. Didn’t knock me off as my first platter of chicken and rice, but it was the best pancake I’ve ever had. 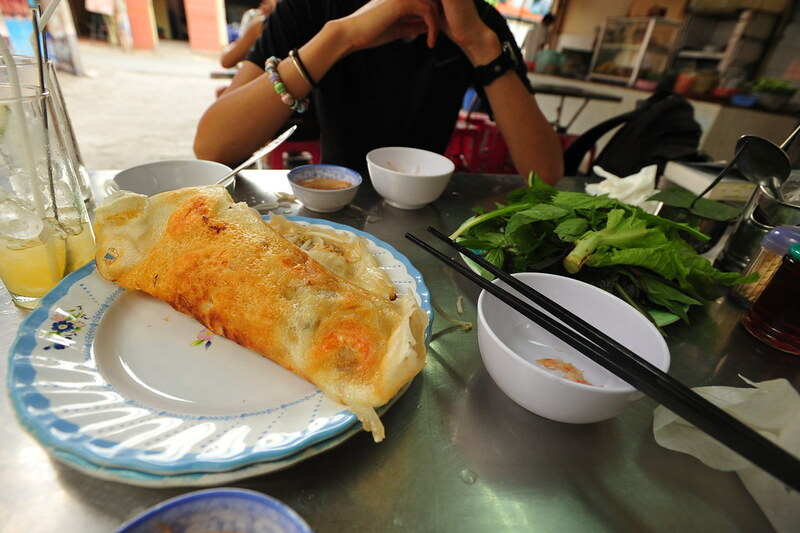 It’s a well-cooked egg pancake stuffed with bean sprouts, pork and shrimp. You wrap it in lettuce and dip it into their special sauce. The rest is heaven. No bug bites! No ill stomachs, I feeeeel great. The only time I took a pepto was probably from the airplane food, so ignore that. Otherwise, Vietnam is a healthy place to travel to. Quality of healthcare: Like The Philippines, if you have anything beyond broken limbs, fever, or other basic ailments, you should head into the big cities like Ha Noi and Saigon (Ha Noi being considered not as good as Saigon). And given a large French expat population, you can find good healthcarebut you have to look for it and be willing to wait. Interviewing a few locals and healthcare folks, the waiting time for an outpatient clinic for things like urgent care or ambulatory care is quite inconvenient and long, with no particular preference for foreigners or locals. If you need specialty care, however, then you have to do extensive research or find them through word of mouth. Therefore, finding good quality specialty care exists, but is considered “far and few between” according to a few people. As for health insurance, it’s cheap: $30 USD for a whole year of basic coverage. Finally, the following hospitals can be found in Ha Noi: Viet Duc Hospital, Saint Paul Hospital, Bach Mai Hospital, 108 Hospital, L’Hopital Francais De Hanoi, International SOS Clinic, Institute Acu picture, National Institute of Tradition Medicine, and the Vietnam-Korea Friendship Clinic. In Saigon you have: Cho Ray Hospital, Hoa Hao Medical Diagnosis Center, FV Hospital, Franco-Vietnam Hospital (FVH), International Medical Center, and the International SOS. So if you got the cash and know the right people, you’re set. Just hope your doctor can speak your language of choice (most likely either French or English). Sanitary Conditions: It’s much better than that of the Philippines, from what I’ve seen. The rampant homelessness in Manila is replaced by rampant traffic and smog, of which Manila also has a lot. However, unlike in Manila I did not see kids running around barefoot in pools of standing water that had some purplish-green color. And everyone wears flip flops or sandals in Vietnam whereas in Manila half of the people I saw were comfortable with strolling around on their bare feet. Also while driving down the entire country from Ha Noi to Ho Chi Minh, I did not run into any roadside slums and everyone seemed to have at least some sort of dignified house to live in. Food also appeared to be always cooked fresh, and people pay a lot of attention to looking healthy. Although it is still considered as a developing country, Vietnam does a pretty good job of at least having their citizens give off a healthy attitude. Including lodging, food, transportation, nightlife, admission fees, and all other costs in Vietnam, I spent approximately 4,598,000 Vietnamese Dong in 7 days, which approximates to $34.5 USD/day. The goal was to spend no more than $35 USD/day. Breakdown for 7 days: $97 spending money + $51 Ha Long Bay Inclusive Package + $62 Bus from Hanoi to Saigon + $12 Hanoi’s lodging + $20 Saigon lodging. I wanted legit Banh Mi’s from a food stall and instead of showing me where to get it, Rose’s assistant went to get some for me within 5 minutes. Annah brought in a pipe she bought with $10 USD and Rose’s assistant bought a pipe 5x as big for the same price for Annah. When we got worried about boarding a 50 hour bus ride, Rose asked if she could book us plane tickets instead. Hope that gives you a good idea of how amazing Liberty Hotel is. Go for the staff; they saved our lives. Other Amenities: A lobby restaurant (best is Rendezvous), free breakfast (most friendly at Liberty), AMAZING staff at Liberty, great balcony views at Hotel Rose. After a long 50 hour bus ride, this is exactly what we needed: a 3 star hotel with 1 star prices. Adequately friendly staff with amazing everything else, plus FREE snacks for those watching the World Cup! Why NOT? Laundry is a bit expensive, but you know they’ll do a good job with the other amenities they serve up. Breakfast is free, computers and internet are fast. There you have it. As we say goodbye to a week of nonstop walking, crossing, and dodging everything from touts to motorbikes, we wish Vietnam well and to never lose its whirlwind charm. Next up: CAMBODIA. Glad it was a great experience!… now, did you send any food back to me? 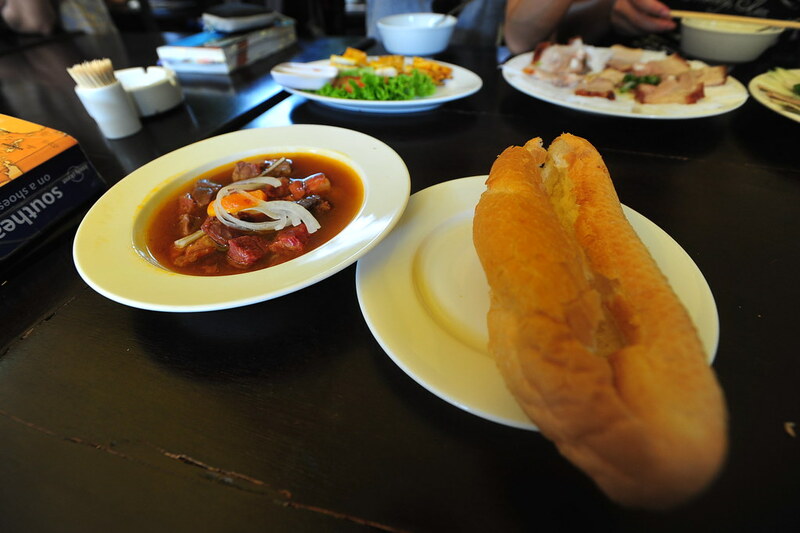 Calvin, I am so happy that you can enjoy the Hanoi foods without having any health problem. Hope your trip to Cambodia will be even more noteworthy!